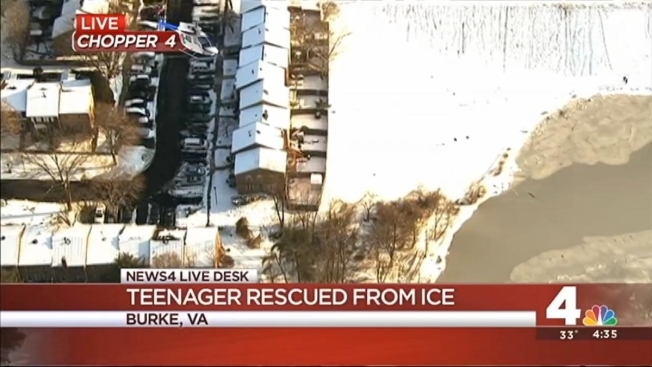 Firefighters rescued a teen who walked on a frozen Fairfax lake, then decided to call for help. Officials say the teen walked on the ice in the 9900 block of Lakepointe Drive around 4 p.m., then decided he couldn't make it back and asked for help. He was found safe on a cement pipe in the lake.